TAMIU adheres to NCTA Professional Standards and Guidelines for test administration and we are participants of the Consortium of College Testing Centers. services to students away from their campuses. Beginning Wednesday, August 28, 2013, the Texas Higher Coordinating Board requires all Texas pubic colleges and universities to administer the Texas Success Initiative Assessment (TSI). 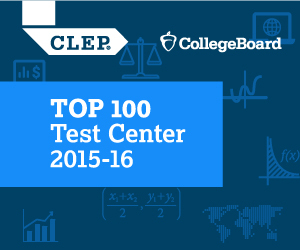 This new exam replaces the current ACT COMPASS (TCOMP), ACCUPLACER and THEA exams. In addition, all examinees are required to take a Pre-Assessment Activity before they can take the TSI exam. You will need to printout the certificate at the end to present to the testing center before testing. Contact the Testing Center at Senator Judith Zaffirini Student Success Center 201 or call 956-326-2131 for more info. Contact the Testing Center at Senator Judith Zaffirini Student Success Center 201 or call 956-326-2131 for more information. Contact the Testing Center at Senator Judith Zaffirini Student Success Center 201 or call 956- 326-2131 for more info. As of June 2013, TAMIU no longer offers the paper/pencil form of TExES administration. Register in Senator Judith Zaffirini Student Success Center 201. All exams are by scheduled appointment. Call Testing Center at 326-2131 for testing schedule. Contact the Testing Center at Senator Judith Zaffirini Student Success Center 201 or call 956-326-2131 for more information regading AP. Contact the Testing Center at Senator Judith Zaffirini Student Success Center 201 or call 956-326-2131 for more information..
TAMIU gladly offers proctoring services. Currently, there is a $25.00 fee for this service. Click here to request proctoring service off campus. Click here to request on campus proctoring services. Contact your appropriate department for location, time and further information.